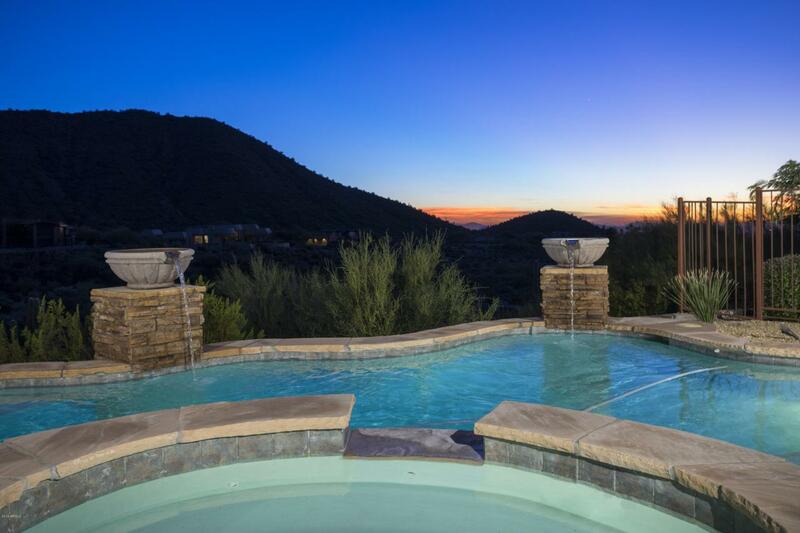 Stunning breathtaking panoramic views of Pinnacle Peak, and Troon Mountain surround this custom home by day. City lights shine on the horizon by night. 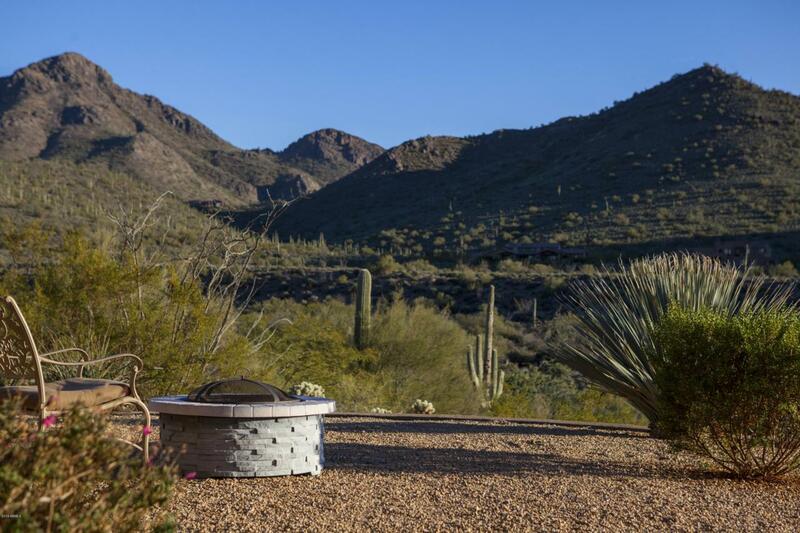 Enjoy the awesome views and fabulous sunsets from the sparkling heated pool and spa. Pavered court yard and covered patios ready for alfresco dining and entertaining. Travertine floors, soaring coffered ceilings with wood beams, arched top alder doors, canterra fireplaces set the scene for upscale living. Huge windows bring the outdoors into the living spaces. 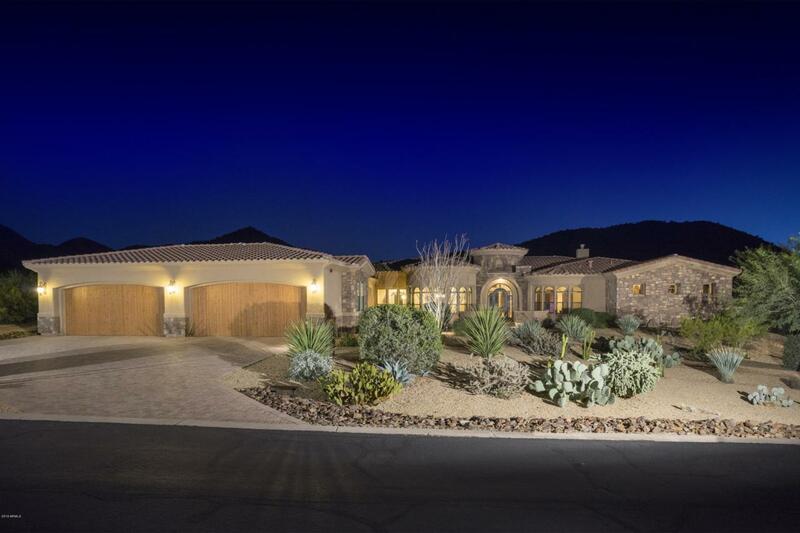 Separate formal dining and living room, 2 master bedroom suites, butlers pantry w/wine frig., separate wine closet, and gourmet kitchen with large eat at island, Wolf 6 burner gas range, double ovens, Subzero frig., granite countertops, and huge walk-in pantry add to the ambiance.